K.M. Trading - Buy 2 Get 1 Free. 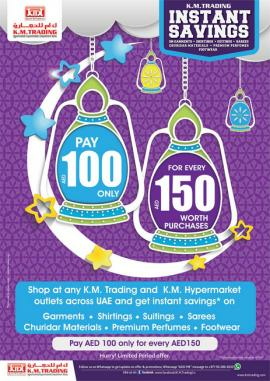 Promotion valid from 4th April to 3rd May 2019. K.M. Trading Margin Instant Savings. 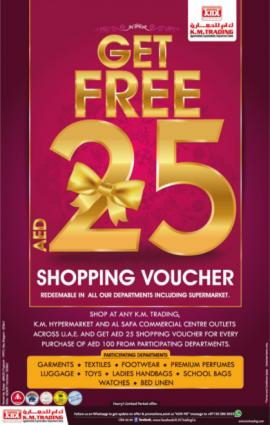 Promotion valid from 28th February 2019 to 29th March 2019. K.M. 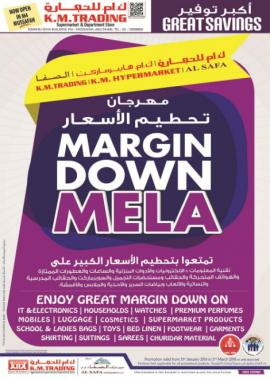 Trading Margin Down Mela. Promotion valid from 31st January to 1st March 2019 or until stock last. K.M. 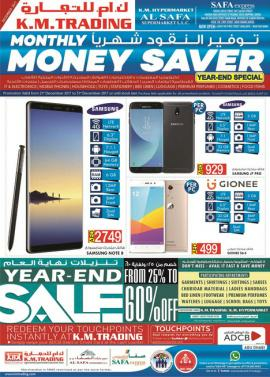 Trading Year-End Sale. Up to 70% Off. K.M. 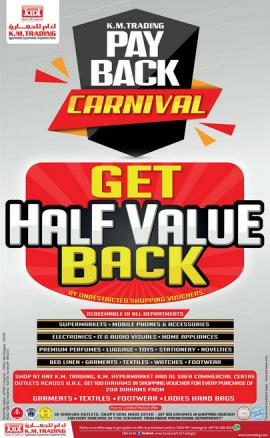 Trading Pay Back Carnival. 03 October 2018 to 02 November 2018. K.M. Trading Instant Savings May - June 2018. K.M. Trading - Monthly Money Saver March - April 2018. 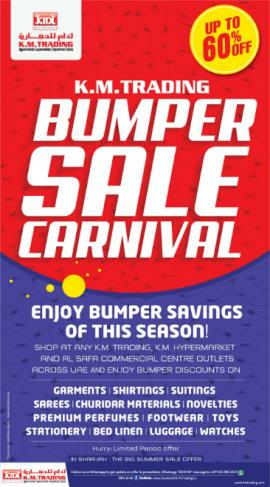 Promotion valid from 29 March 2018 to 14 April 2018. K.M. Trading - Margin Down Mela 2018. Promotion valid from 31st January 2018 to 2nd March 2018 or until stocks last. T&C apply. K.M. 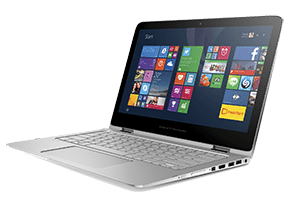 Trading Monthly Money Saver - January 2018. Happy New Year 2018. 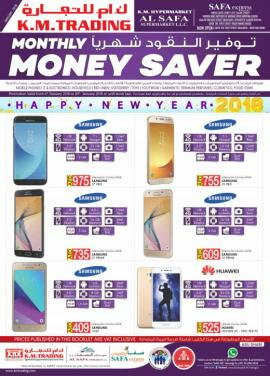 Promotion valid from 4th January 2018 to 20th January 2018 or until stock last. K.M. Trading - Year-End Sale. From 25% to 60% off. K.M. Trading Monthly Money Saver - December 2017. Year-End Special. Promotion valid from 21st December 2017 to 31st December 2017 or until stock last. K.M. Trading Monthly Money Saver - November 2017. 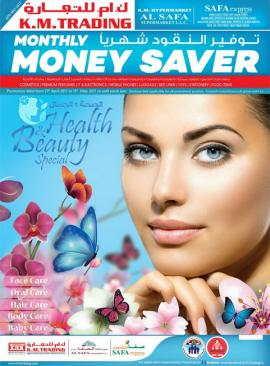 Health & Beauty Special. Offer valid from 1st November 2017 to 18th November 2017 or until stock last. K.M. Trading Monthly Money Saver - August - September 2017. Promotion valid from 24th August 2017 to 9th September 2017 or until stock last. K.M. 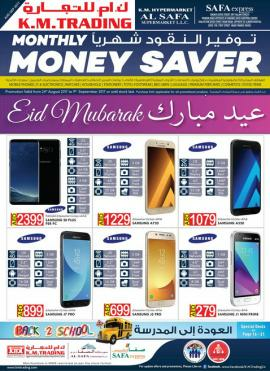 Trading - Monthly Money Saver July - August 2017. Promotion valid from 27th July 2017 to 12th August 2017 or until stock last. K.M. Trading - Instant Savings - June 2017. 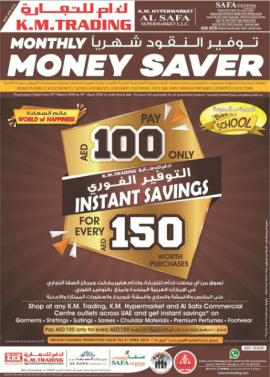 Pay AED 100 only for every AED 150. Offer valid from 17 June 2017 to 16 July 2017. T&C apply. K.M. Trading - Monthly Money Saver - June 2017. Promotion valid from 1st June 2017 to 17th June 2017 or until stock last. K.M. 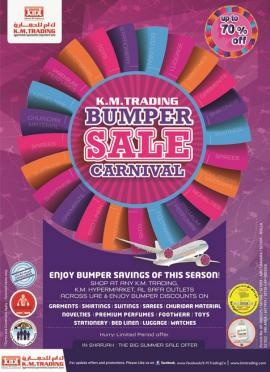 Trading Bumper Sale Carnival. Up to 70% off. 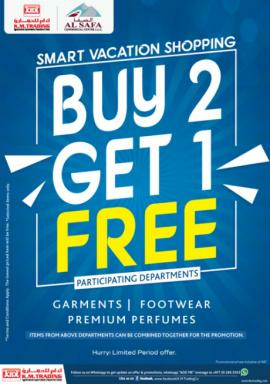 Promotion valid from 04 May 2017 to 02 June 2017. T&C apply. K.M. Trading - Monthly Money Saver April - May 2017. Health & Beauty Special. 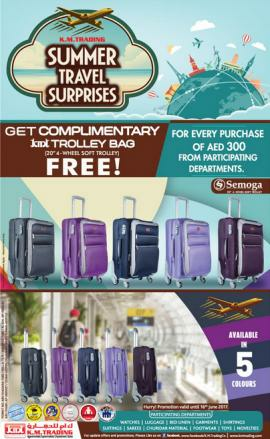 Promotion valid from 27 April 2017 to 13 May 2017. K.M. Trading aspire to empower all customers who walk through our doors with a distinct advantage in leading their chosen lifestyle with pride and satisfaction, irrespective of their social and economical status. This apart, we seek to become a dependable and reassuring companion who deeply perceives, and cumulatively fulfils their lives’ needs, desires and dreams. We are committed to offer our customers the most extensive range of choices, the finest quality and unmatched value, complimented by world-class customer service standards through an enjoyable and rewarding shopping experience. 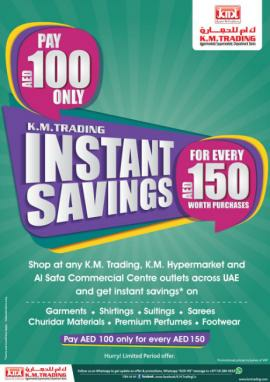 Get all information about K.M. 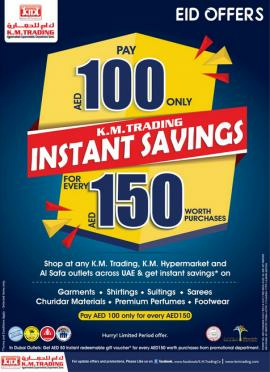 Trading Dubai offers, K.M. 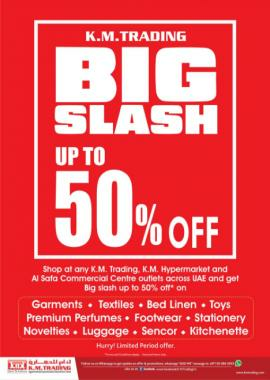 Trading sale in Sharjah, K.M. 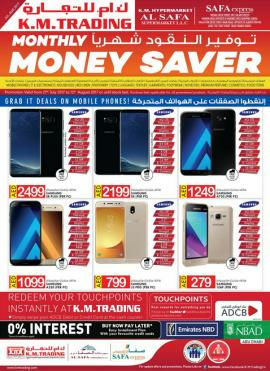 Trading offers in Abu Dhabi, K.M. 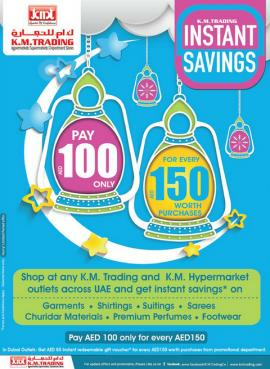 Trading offers in Ajman and Sharjah, K.M. 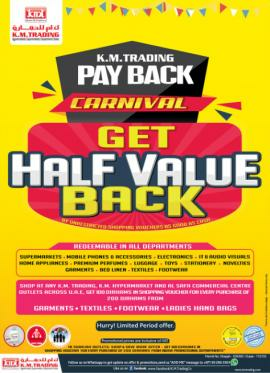 Trading sale & offers, Hypermarket offers, Supermarket offers, Shopping Mall offers, fashion offers, footwear & shoes offers, Health & Beauty offers, Electronics & Mobile offers and K.M. Trading promotions by browsing through TomatoSALE.